I reference my earlier review this month regarding the Safilo Elasta EL3055 frames I have been purchasing. This pair of Charmant TI 11424 frames is an experiment to see how well the titanium frame resists corrosion. To this end, I cannot comment as I have not had the opportunity to have lenses installed in these frames at this time. I can say that the frames feel very comfortable, fit well, feel very light and look good. It would be nice if the frames did come in a larger aviator lens type frame like the Safilo Elasta EL3055, but we can't have everything. 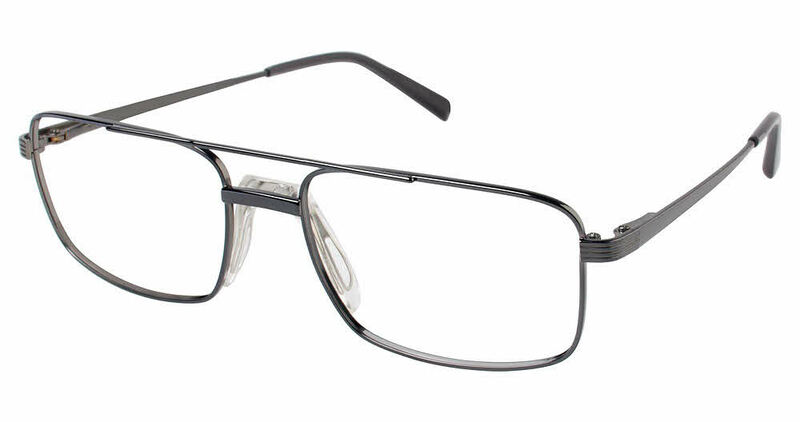 For my taste it would have been a real success if the Safilo Elasta was produced in a titanium frame as I believe the titanium will be more resistive to perspiration acidic corrosion that I have reported on the Safilo frames. I will report in a couple of years if the experiment was successful. Really nice sturdy frames. Ordered these for my husband who likes the full nose piece. A very nice color too. Highly recommend Frames Direct. Good customer service and timely delivery.